Tesla Motors stock price (TSLA) is dropping because of 3 most-talked-about reasons, which is mainly covered in the media these days. But there is even more important issue, which is less talked about: the issue of Tesla's debt. And we don't hear more about it. Therefore, there are 4 reasons Tesla's stock price is tanking. Which of these four reasons, do you think is the most serious cause for the Tesla's stock price drop? Let's analyze all four reasons and causes of why the Tesla stock is dropping in price and look at the company's debt situation. 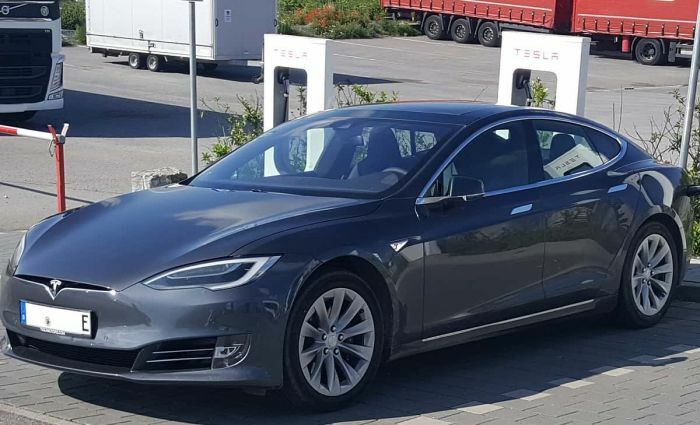 The first cause of the Tesla's stock price drop is that last Thursday the electric automaker announced that it is voluntarily recalling 123,000 Tesla Model S vehicles. The cause of this massive Model S recall is the problem with the Model S' power steering component. This recall shows that the Tesla is vulnerable to the same types of problems that cost other carmakers lots of money. Tesla now is going to replace all of the steering bolts just in case the vehicle would eventually end up in a cold climate and develop problems. This is why the Tesla recall signals other problems in the company. The second cause of the Tesla's stock price drop is the fatal Model X crash on a California highway a week ago. The video that emerged from the scene of the Model X crash shows the amplitude of the tragedy. Tesla now revealed that the Autopilot system of the Model X was activated during the crash. "In the moments before the collision, which occurred at 9:27 a.m. on Friday, March 23rd, Autopilot was engaged with the adaptive cruise control follow-distance set to minimum," reads Tesla's news update from the company's blog. Tesla actually went on and blamed the latest Autopilot Model X death on the driver and road conditions. The 3rd cause of the Tesla's stock price drop is the authorities' investigation and the government's disapproval of Tesla's action.The National Transportation Safety Board (NTSB) said that it was "unhappy" that Tesla made public information about the crash. Christopher T. O'Neil is a spokesman for the NTSB. He says, "in each of our investigations involving a Tesla vehicle, Tesla has been extremely cooperative on assisting with the vehicle data." He adds, "the NTSB is unhappy with the release of investigative information by Tesla." Now, let's look at the 4th, less talked about cause of the Tesla's stock price drop, discussed in detail by Jim Collins in Forbes today. He says Tesla's "daunting debt repayment schedule" is the real issue. "Tesla is staring at mountain of debt maturities over the next 20 months, just at the time when it needs available cash to fund operations," Collins writes. "The combination of $3.5 billion negative cash flow in 2017 and $1.8 billion in debt coming due before November 2019 is a terrible one for equity holders," he adds. The big problem is that these debt maturities come on top of the capital needed to grow the core auto business. Tesla needs to speed up the deliveries of Model 3. This will inject more confidence in investors and drive up the price of its stock. Today Jeffries raised its rating of Tesla stock to "hold" from "underperform," but it didn't do much to help the price of the stock. At the moment of publication of this article TSLA is down more than 6 percent this morning. We would like to hear from our readers on this subject and you are most welcome to make your comments in the comments section below. Let us know what you think about Tesla and how the company can turn things around in the near future. Bosch, the maker of the power steering is paying for all the costs of the correction. Why did you choose to NOT mention that? Short? Hi Don, I have no position in Tesla. I do not have any stocks. Frankly, I wasn't aware of Bosch paying for all the costs of the correction. Will investigate now. Your comment is live and here is my reply. This will add to the story. Thank you.